Adjust which notifications you would like to receive and on which platform. Some things deserve your attention more than others. 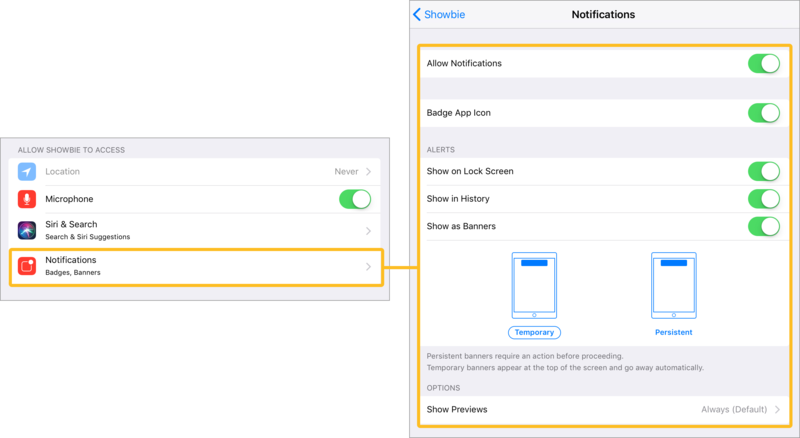 You can change your notification preferences so that you receive emails and/or notifications to stay updated on any changes made. The button in your notification settings will be white if it's turned off, or if the notification is turned on, it'll be blue! Please remember that if you would like iOS push notifications, you will need to allow them for your device. Learn how to do this below. If you set your notification settings to have Email enabled, make sure you have the correct email address to receive email notifications. If not, you can change your email address. Permissions also need to be changed when trying to record voice notes on the Web app. Use this guide to help you out. 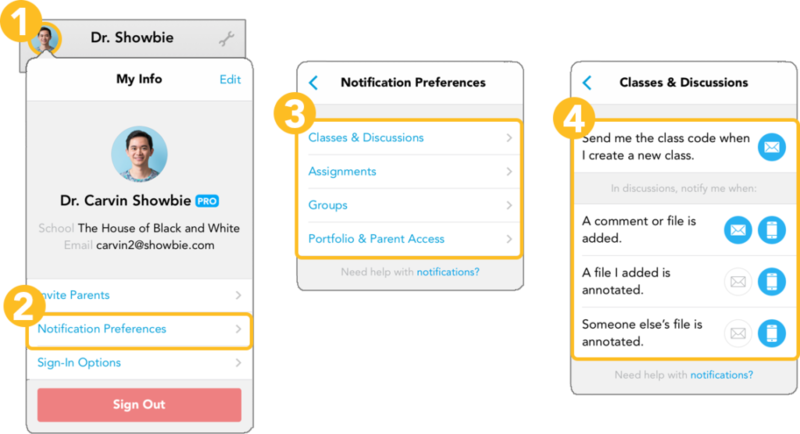 If you are using a school’s device, Showbie needs to be whitelisted in order to work smoothly. Here’s a list of addresses and domains that Showbie uses.